Rabbi Posner ע"ה (his introduction, rather) starts at about 29 minutes. FINALLY! The Oylem in the ERCSD is getting their act together and FIGHTING BACK! It's been years of negative press and outright lies. Years that our blood has been sucked. Years that we've been made to look like thieves stealing from the poor and unfortunate. Taking away their after school programs and daycare. Their band practice. Their football uniforms. The politicians, who are supposed to help ALL peoples in the community, have thrown us to the dogs, rather than change funding formulas or work on a solution. We've become fair game when all other groups are off limits. 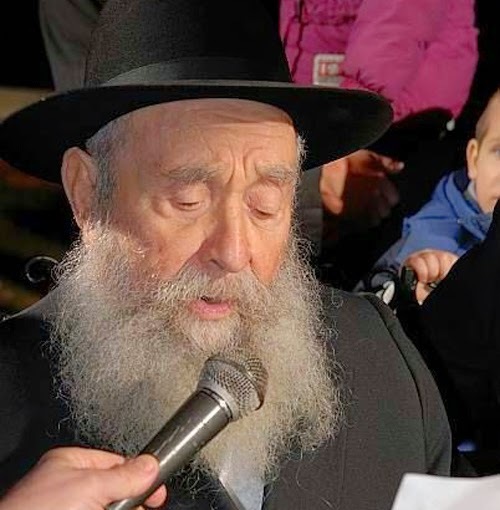 It's OK to talk about the Orthodox/Ultra-Orthodox leeches who steal our school taxes. The press, of course, is in on this mass-lynching hook, line and sinker. Guys like that "goody-goody" from Uri-L'Tzedek have also chimed in... Many of us have wondered where our so-called community activists are, and why they allow the community to be so viciously maligned?! But now I hear these a concerted effort to fight back. Inter-Community Press Conference with major announcement regarding the East Ramapo predicament. WHAT: Clergy, elected officials, activists and leaders from a broad spectrum of the East Ramapo family will make a major announcement regarding the East Ramapo Central School District WHERE: The Atrium, 401 W Route 59, Monsey NY 10952. It's a start. Let's see where this get us. a real Chossid screams when his Rebbe is attacked! So said the great Reb Shmuel Salant of Yerushalayim. טאקע ניט קיין חסיד, אבער דאך. 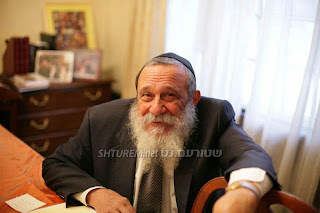 כנראה אז ער האט פארשטאנען צו חסידים. And here I thought that I was being "open-minded" and "tolerant" by allowing it here and in life outside the blog. I thought that by allowing others to speak ill of my Rebbe - כאילו - that I was showing them that I'm not "from the crazy ones." So where do I go from here? What copious amounts of Tshuvah do I need to do? 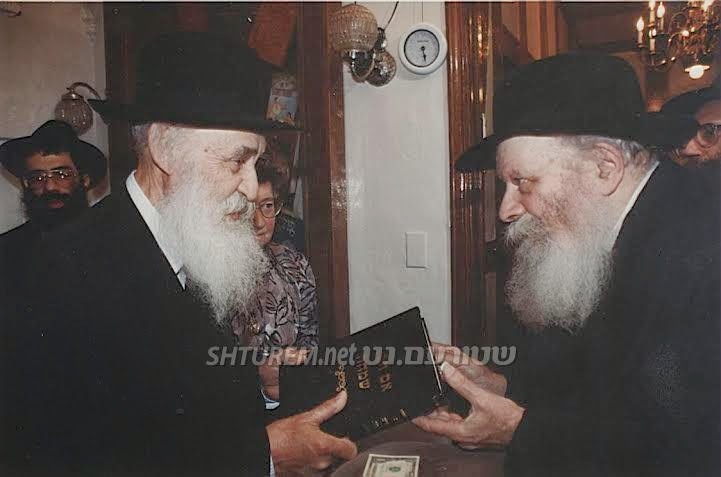 Harav Chaim Menachem Teichtel, 92 - תלמיד הישיבה בהיידע and son of the גאון בעל משנה שכיר הי"ד. RCMT was niskarev to Chassidus Chabad and its נשיאים by the late Reb Zalman Schneersohn, ע"ה. 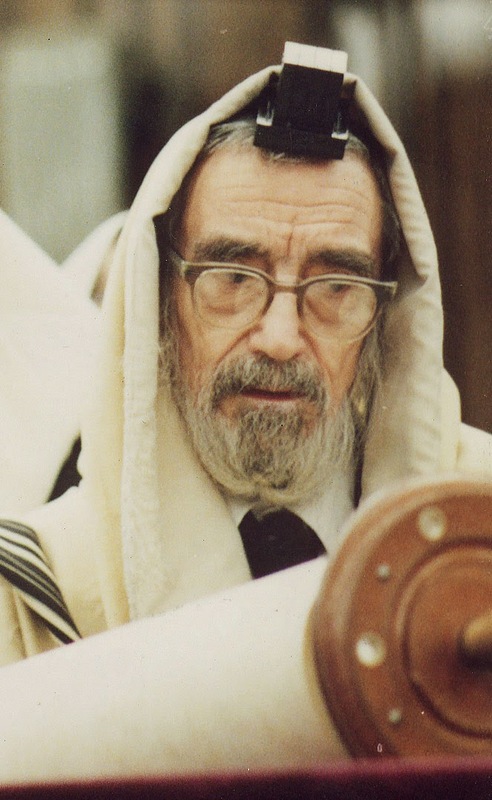 He was one of the few remaining talmidim of the famed Heide Yeshiva in Belgium. Ironically, most if not all, of those remaining talmidim are Lubavitcher Chassidim, having come to Lubavitch during WW2 in France. 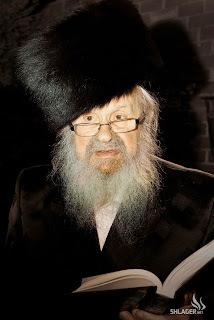 He leaves behind a beautiful family of Chassidim and shluchim all over the world. 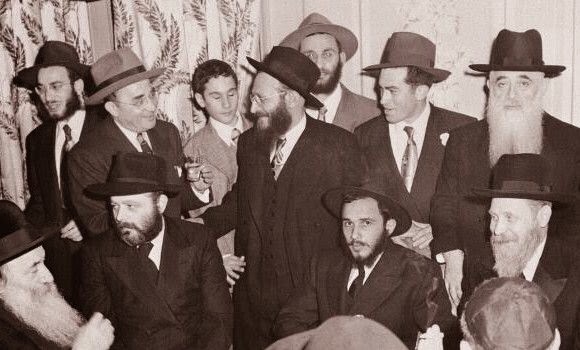 Who would believe that they would host a man whose entire essence counters the Satmar shittah?! Richman says they learned אם הבנים שמחה and were convinced! 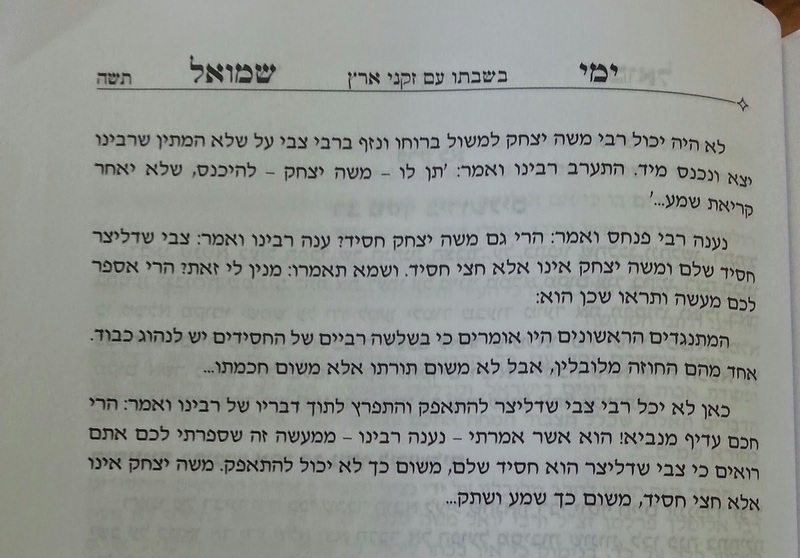 The minhag of ending a Yom Tov with the same acts as the opening of the Yom Tov is a minhag for itself. In Satmar they do נענועים with the Sefer Torah. Many Chasidim read the הגדה at ne'ilas haChag. 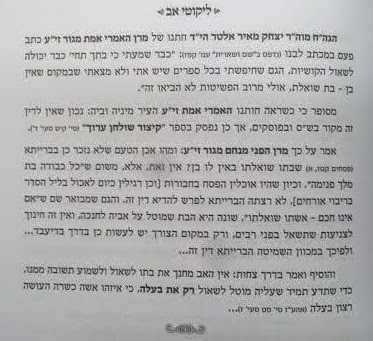 In Slonim they do hakafos with חומשים on Shabbos Bereishis, and in Chabad (u probably heard about it since they like to hang posters) they drink ארבע כוסות by Seudas Moshiach. It's some kind of instinct by Jews. Maybe they can't depart from Yom Tov; They need some achiza grip on the Yom Tov at the end. 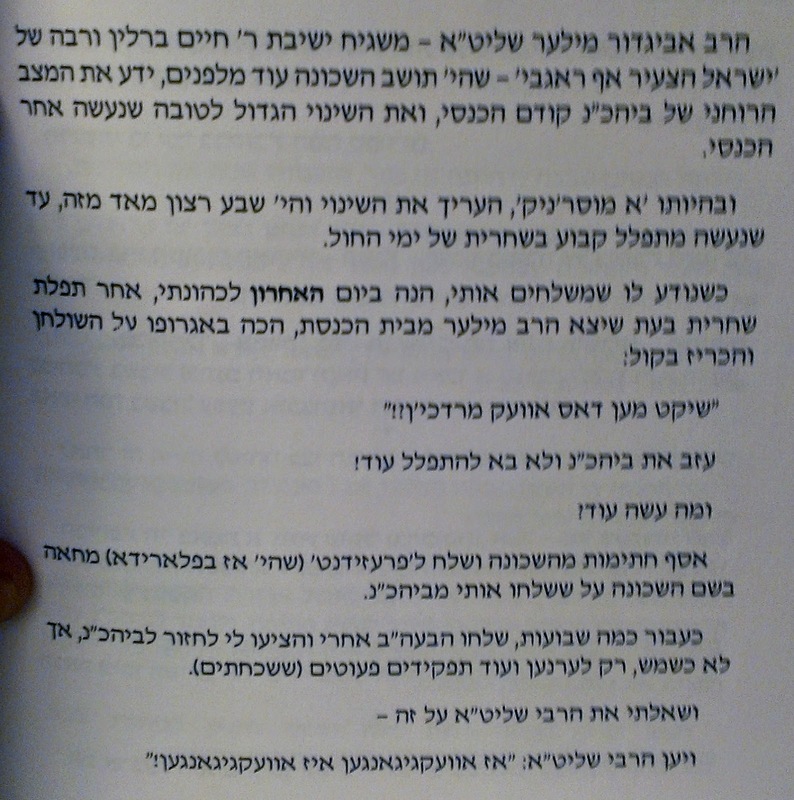 We're a very unique people, ב"ה.
Reb Tzig: this is a new book revising the history of the Jewish revolution in Russia. There is no mention of chabad shluchim at all. 500 chabad shluchim with mosdos covering all of the former USSR are not mentioned. All chabad chasidim from the era of the Frierdiger Rebbe to the Rebbe are not mentioned. When they did this kind of hagiography about Torah in the USA they ignored the Frierdiger Rebbe and the Rebbe, but at least in the US there is still some logic to such glaring omissions, you still had a big Yeshiva world that will give credit to RAK etc... Rabbi Berel Wein (who is ironically now ostracized by the charedi world) did alot of their farbisene dirty work.. But in Russia, where there all they have is 3 holes on 4 walls... to ignore Chabad... is real old fashioned Pravda journalism. Nothing less. 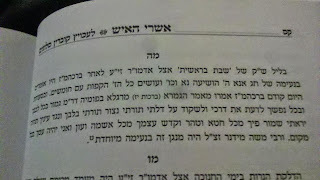 Did Rabbi Matisyahu Solomon know in 1976 how many mikvaos were functioning in the USSR? Was he interested to know how many shochtim there are Leningrad? Did Rav Pam have Jews traveling from city to keep the fire of Torah burning, under the noses of the KGB? Did they stay up nights crying about their brethren in the USSR?.... It's simply shocking that in 2014 such obvious lies should be printed in hard cover form by a Jewish, frum, publishing company. Whoever they may be. But anything goes and no holds are barred when it comes to bashing Chabad, even if it is by omission only.